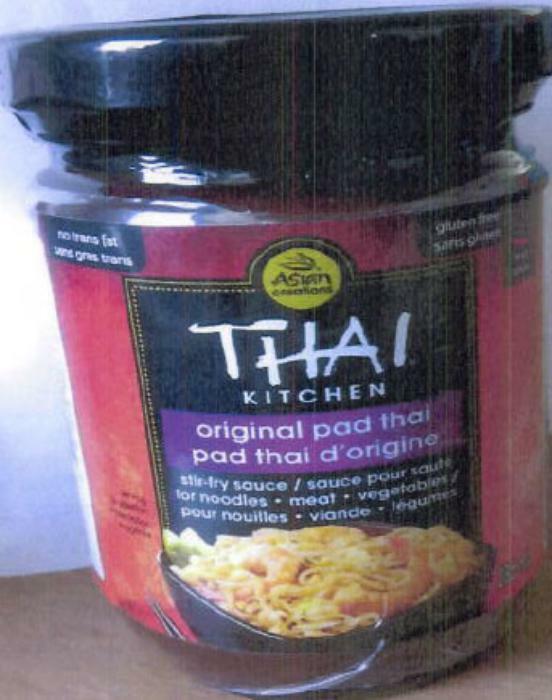 La Cie McCormick Canada is recalling Thai Kitchen brand Original Pad Thai Stir-fry Sauce. The product contains peanut, an allergen not declared on the label. Customers with an allergy to peanut should not consume the recalled product. Customers with an allergy to peanut should not consume the recalled product, but throw it away or return it to the store where purchased. Consumers with questions may call Clint Roberts of La Cie McCormick Canada at (410) 527 6375.